The ultimate detective Batman is back as a new giant Stretch figure! The ultimate detective Batman is back as a new giant Stretch figure! Stretch him, pull him, tie him in knots. When you release him he uses his amazing stretch to slowly return to his normal shape. 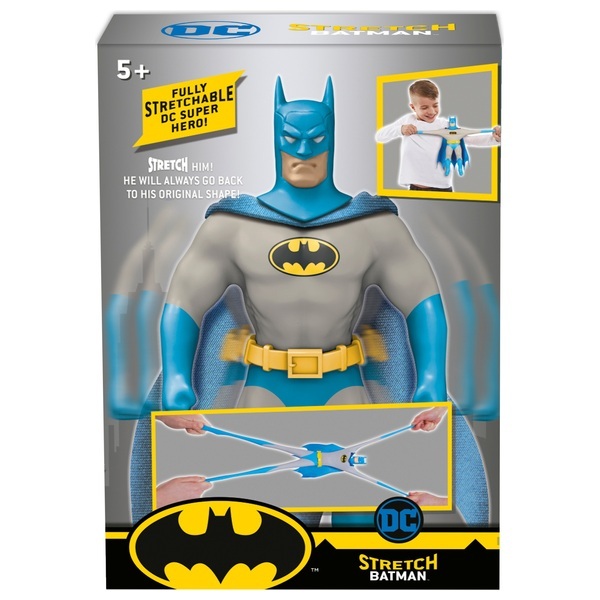 Have super stretchy fun with this Large Batman Stretch Figure!